As seen on BBC’s Gardeners’ World. 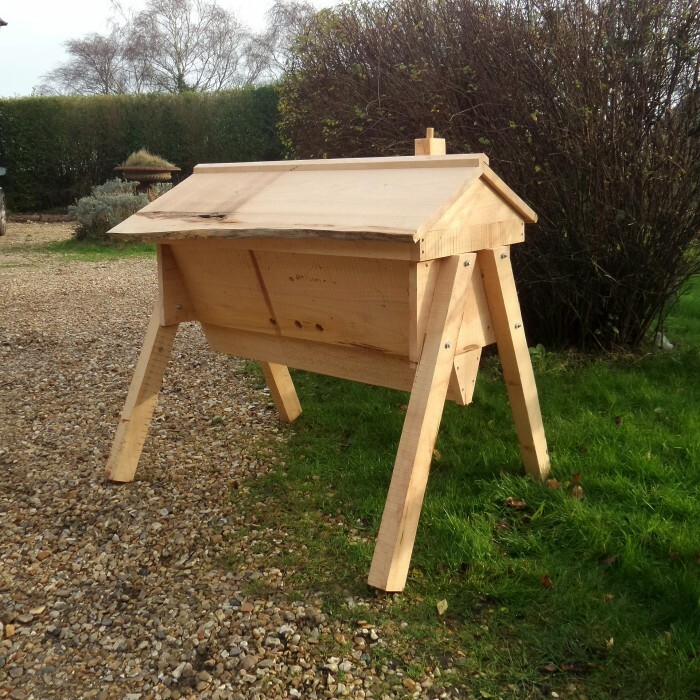 A top-bar hive is a single-story frameless beehive in which the comb hangs from removable bars. 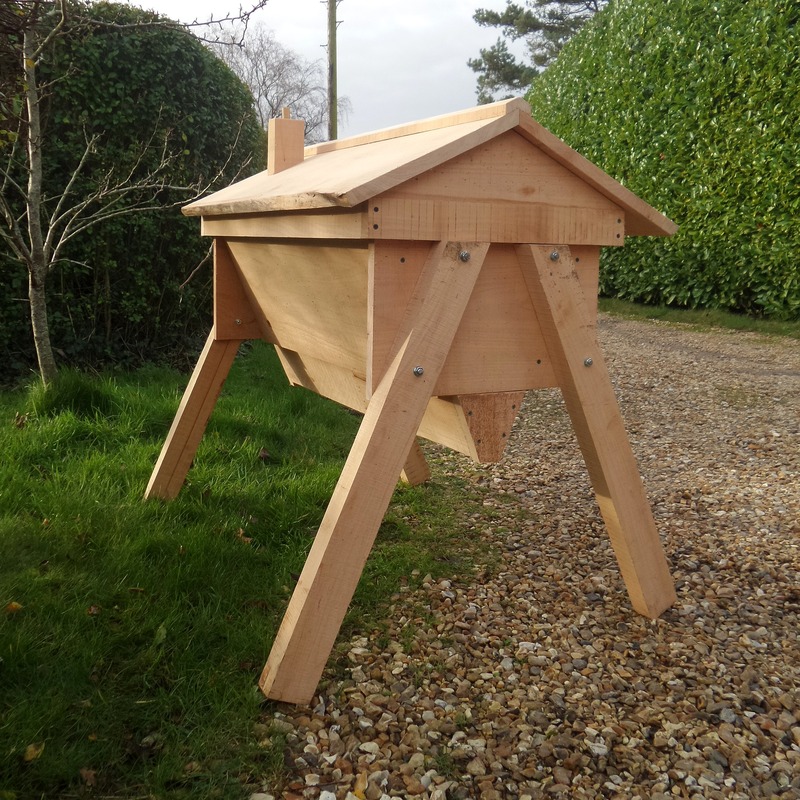 They are popular with some beekeepers who believe it is a more natural form of beekeeping. This one is made from macrocarpa. Price: £350. 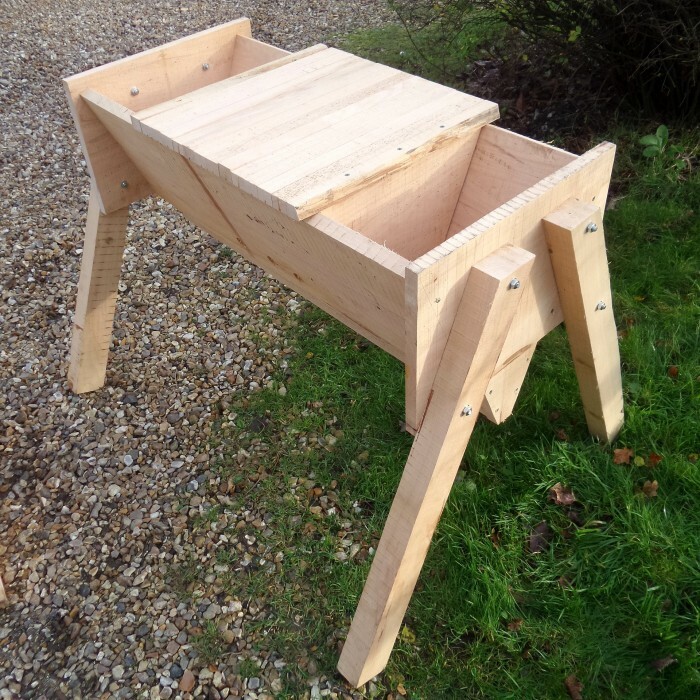 I'm David Ralls, a furniture maker and woodworker based in Dorset. I make beautiful handcrafted furniture and joinery for inside and outside the home in a wood appropriate to your needs and budget. Commissions of any nature are most welcome. All aspects of home and garden furniture and joinery undertaken, from chairs, tables, benches and bookcases, to gates, fences, fruit cages and beehives. I particularly love to work with green oak. The wood takes on a character of its own as it seasons and changes colour from honey yellow to silver grey. Interesting twists and splits can occur too which adds to the individuality of each piece of furniture.